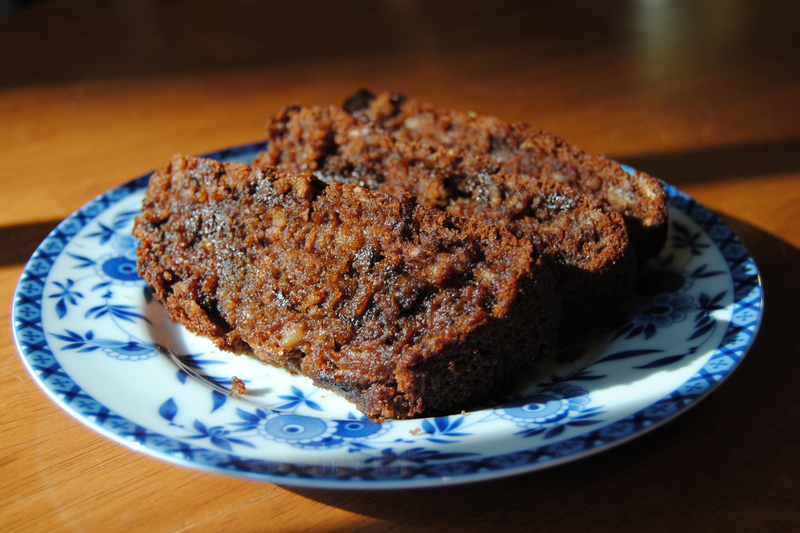 It was chocolate banana bread for breakfast in our house this morning! 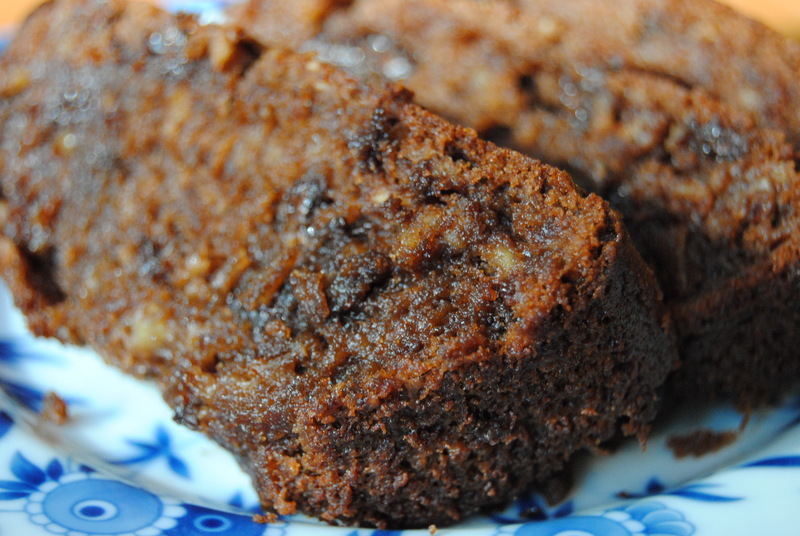 It’s like a cross between brownies and banana bread and is so good! I found this recipe on Pinterest and stuck to it exactly (except for cooking time – in an effort to speed it up, I went 375 for 60 minutes, and it worked out just fine!). Enjoy! 1.) Preheat oven to 375 degrees. 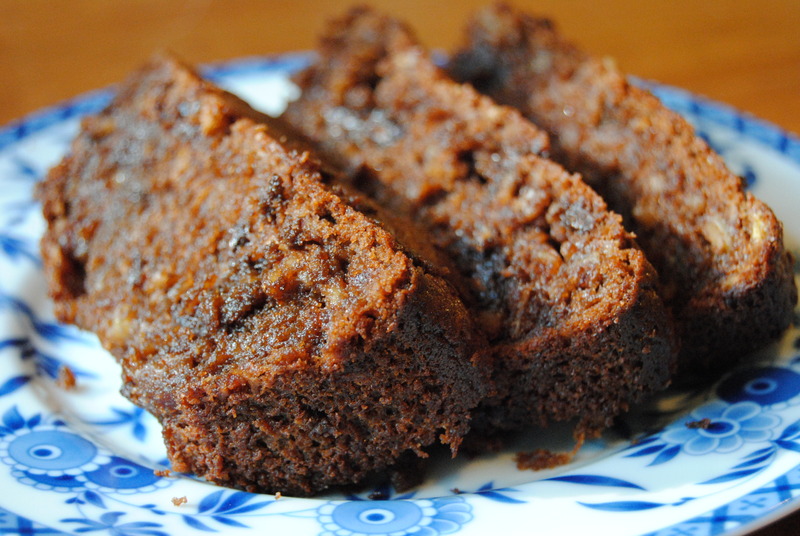 Grease a 9″x5″ loaf pan. 2.) 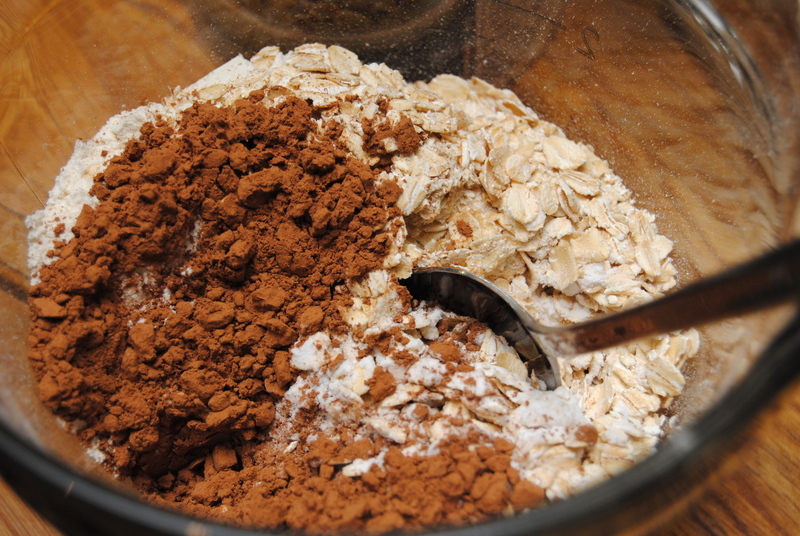 In a bowl, combine flour, oats, baking soda and cocoa powder. Set aside. 3.) 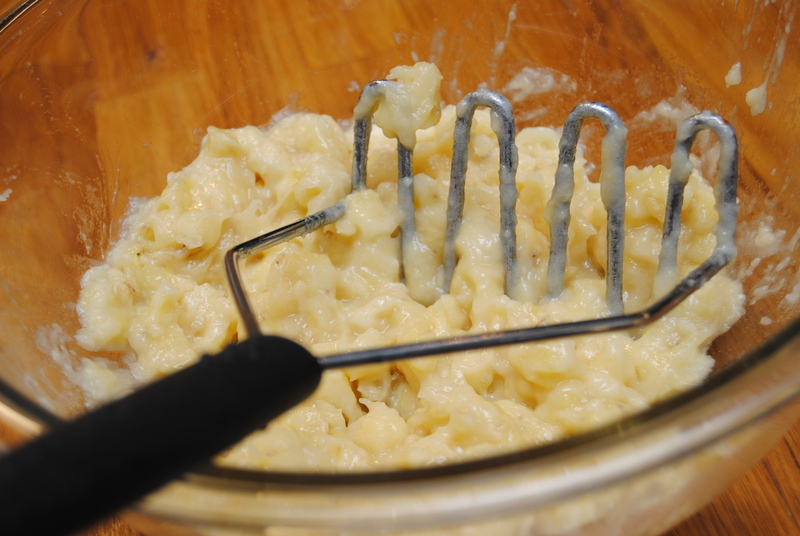 With an electric mixer, cream butter and sugars together on medium-low speed until fluffy. 4.) Turn speed to low, add eggs one at a time until combined. Stir in vanilla, mashed bananas, and sour cream on lowest speed. 5.) Add dry ingredients to wet ingredients on lowest speed just until combined. Fold in chocolate chips. 6.) 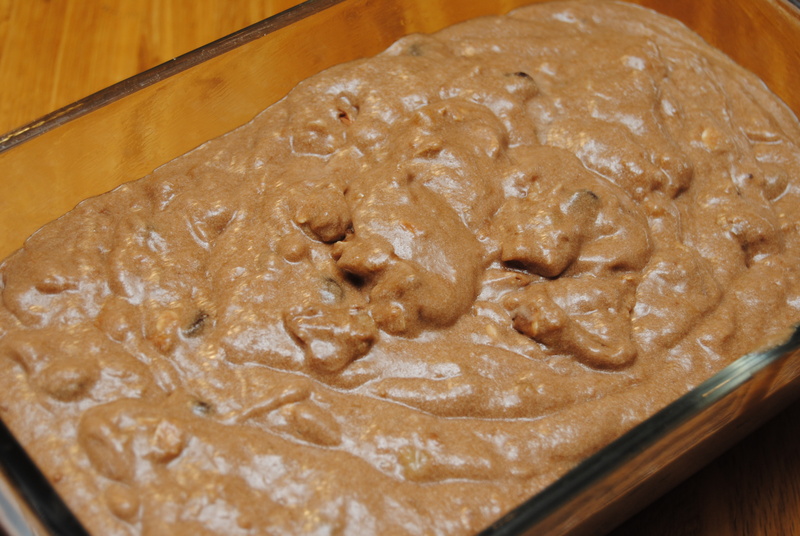 Pour batter into loaf pan and cook for 60 minutes, or until a toothpick inserted into the middle comes out clean. Let cool for 15 minutes before cutting. Brogan was trying to get to this stuff! 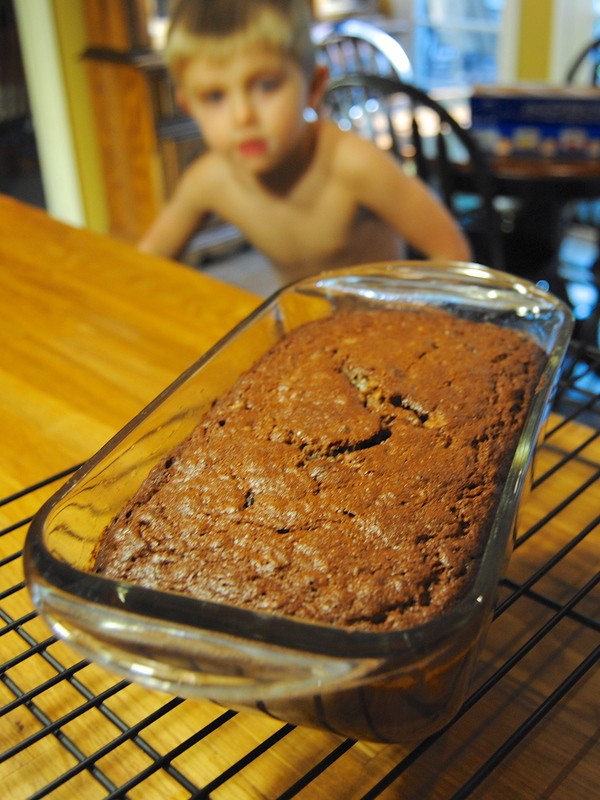 This entry was posted in Food and tagged Banana bread, Bananas, Breakfast, Chocolate, Chocolate banana bread, From scratch, Kid-approved, Oats by biscuitsncrazy. Bookmark the permalink.